For those who want the latest & Greatest. 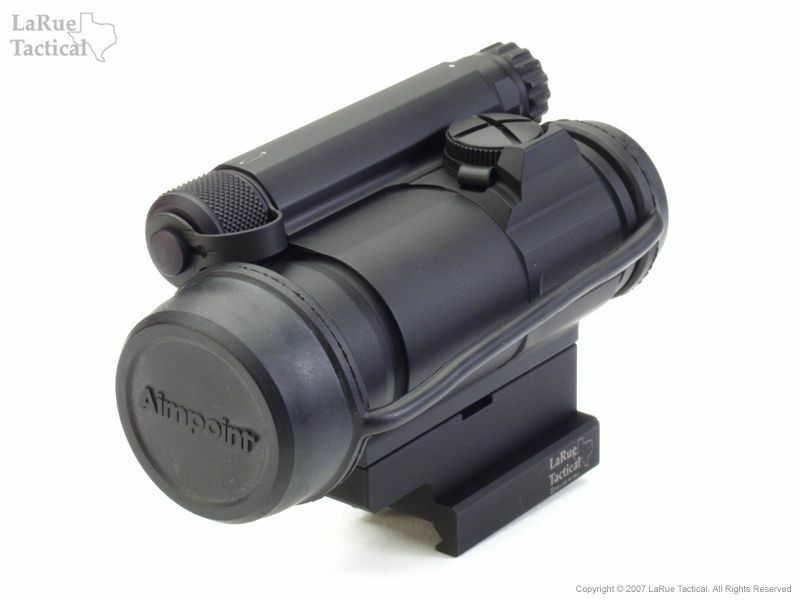 The newest version of the US Army's M68 CCO (Close-Combat Optic) is the finest sight that Aimpoint has ever produced. The M4's enhanced energy-usage provides up to 8 years of continuous use from a single AA battery. 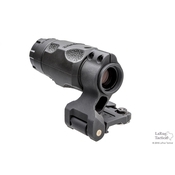 The crisp 2 MOA dot brightness has 16 positions, 9 daylight and 7 optimized for use with all night vision, especially Gen-3 night-vision technology in current government use. 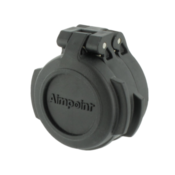 Aimpoint's band-pass coating on the front lens reflects select frequencies of red light at near 100% efficiency in order to give the highest possible dot brightness. 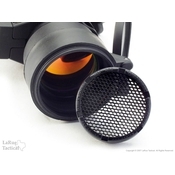 The front lens opening is threaded for addition of a KillFlash® anti-reflective device ( sold separately ). A removable one-piece bikini cover keeps dust and scratches off the glass. 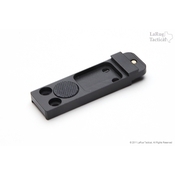 This mount cantilevers the CompM4 forward to optimize the rail space on M1913 picatinny flattop receivers. 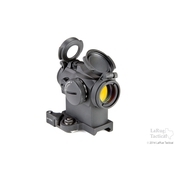 The "Tall" mount aligns the CompM4 perfectly in front of the LT Pivot-Mounted Aimpoint 3XMagnifier, LT-Mounted PVS-14 and / or all BUIS units. 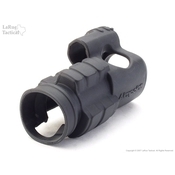 The "Medium" mount provides absolute-cowitness and is compatible with other USGI-height mounts. 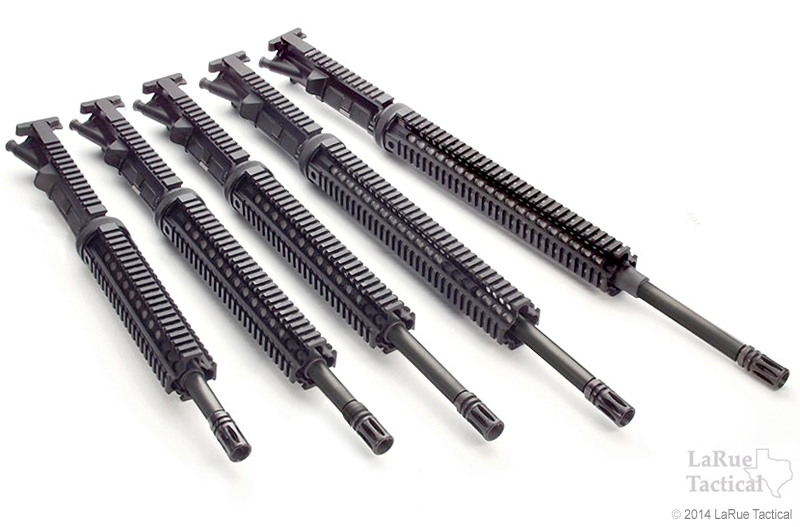 The "Short" mount is the correct height for Piston Uppers, like the HK416. 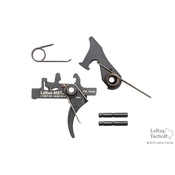 The combo comes complete with Aimpoint Comp M4, replacement mounting screws with wrench, QD adjustment wrench, vial of blue Loctite and Instructions. 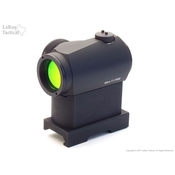 The "Tall" mount aligns the CompM4 perfectly in front of the LT Pivot-Mounted Aimpoint 3XMagnifier, LT-Mounted PVS-14 and / or all BUIS units. 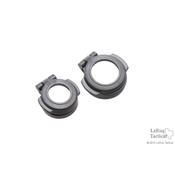 The "Medium" mount provides absolute-cowitness and is compatible with other USGI-height mounts. 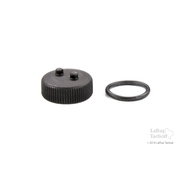 The "Short" mount is the correct height for Piston Uppers, like the HK416. 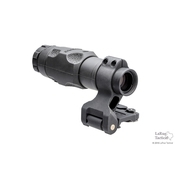 THIS SPECIAL PRICE COMBO DOES NOT INCLUDE THE AIMPOINT KILLFLASH OR FACTORY AIMPOINT MOUNT. 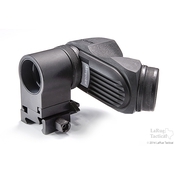 Note: Unlike iron sights, on MRD such as Aimpoint, you must focus on the target, NOT the dot! Test outdoors with both eyes open ( the dot should appear fuzzy ). I bought this optic to complete a replica build of a rifle I had in Afghanistan. This optic worked great for me over seas. While I had the QRP mount across the pond I covet Larue mounts and this mount is more than rock solid. While I initially had some issues with the mount Larue fixed it quickly. This is one of the best red dots I have ever used. 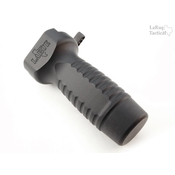 While I realize there are lighter options, this is truly the last optic you will need and you will probably only need four AA batteries for the lifetime of the optic. I always buy from Larue. 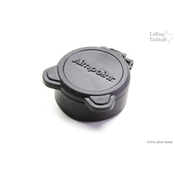 Their product is top of the line and their customer service is always awesome. They always respond quickly to all emails and handle any problems quickly. Even when turns out to be user error! Thanks guys! My objective lens is a little bit inclined! This is not a broken sight! 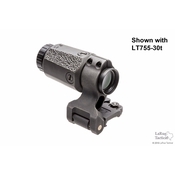 The front lens is a little bit inclined due to the fact the diode is not located in the center of the sight but it might be located either in the roof part or the lower part of the sight depending on the model. The lens and the diode are in line with one and other. The dot in my Aimpoint sight doesn't look round. Is it defective? If your dot does not appear to be perfectly round, the distortion is probably caused by the way that your eye perceives the dot, rather than by some mechanical defect. Due to differences in the lenses in different individuals' eyes, round objects that subtend areas near 3 minutes of angle may appear distorted in a variety of ways depending on the individual and other environmental influences. 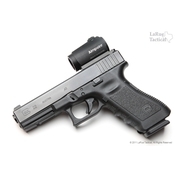 Inexpensive red dot sights sometimes have manufacturing defects that can cause the dot to be an odd shape. If the dot does not roll with the sight, the distortion is caused in the way your eye perceives the dot. This is not to say that you don't have good vision. You can see clearly and still see a distortion in objects this small. This effect is less pronounced in sights with larger dots. More people will see the dot in a sight with a 10 minute-of-angle dot as being perfectly round than will be able to see a 3 MOA dot as round. 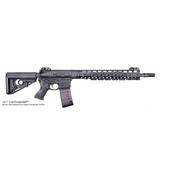 I've waited 2 years to post this review....Absolutly love it and it has stood up to thousands of rounds from my AR. 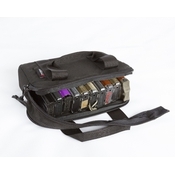 I opted for this as opposed to the Comp M4s for the high battery compartment. I often use the 3x magnifier and found that the lower battery compartment on the 4s was hard to adjust when the 3x was attached. Over all great optic! Thanks Larue! 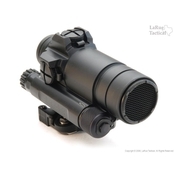 Amazing mount and Amazing optic make for a complete package that is more than anyone could ask for. The main reason I opted for this optic over the more popular Micro T-1 is that this model allows you to use easy to find AA batteries (8 year battery life to boot), the smaller dot size and the fact that you can have flip caps (purchased separately) mounted rather than the rubber bikini covers. Only negatives I can think of is that this isn't exactly the lightest red-dot out there and I wish I would have ordered the M4s with the lower profile battery compartment. 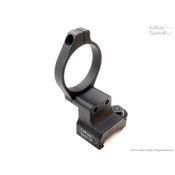 Still one of the best options out there and Larue Tactical makes the best mounts for any and all rail mounted accessories hands down. 150 out of 253 people found this helpful. This was my first Larue purchase over a year ago. I have left the red dot on at mid power ever since then and it is still as bright as ever. Going to keep it on until the battery dies in a few years. I love the mount it comes with too! 123 out of 306 people found this helpful.